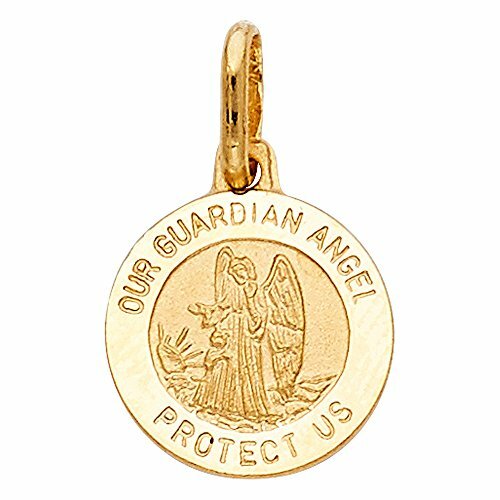 Wellingsale 14K Yellow Gold Polished Religious Our Guardian Angel Medallion “Our Guardian Angel Protect Us'' Charm Pendant by Wellingsale® at Blood of The Young. MPN: SFP-J-LGDI-PT-00284. Hurry! Limited time offer. Offer valid only while supplies last. WELLINGSALE® Features:1. Stunning High Polished Finish2. Made using only the most premium and pure materials3. Non tarnish, Stunning Color4.